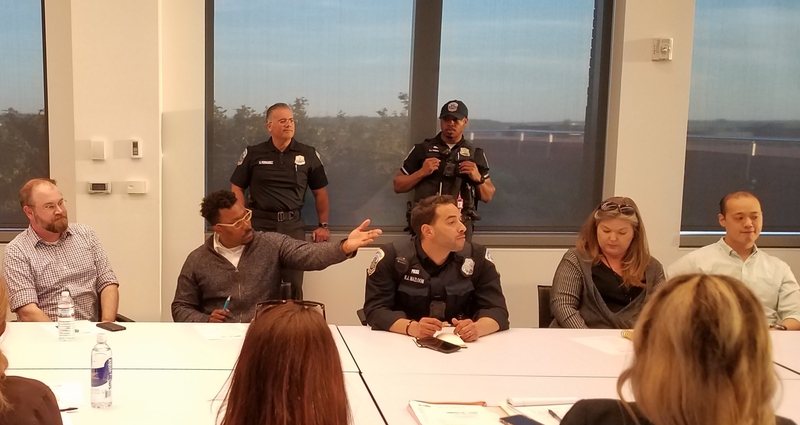 The Eastern Market Community Advisory Committee (EMCAC) seems poised to recommend to the city that both the 200 and 300 blocks of 7th Street remain closed to weekend car traffic. Ward 6 Councilmember Charles Allen has already gone on record in support of the closure. Eastern Market Main Street – the 7th Street business organization – sent a letter to the city earlier this summer endorsing the closure. 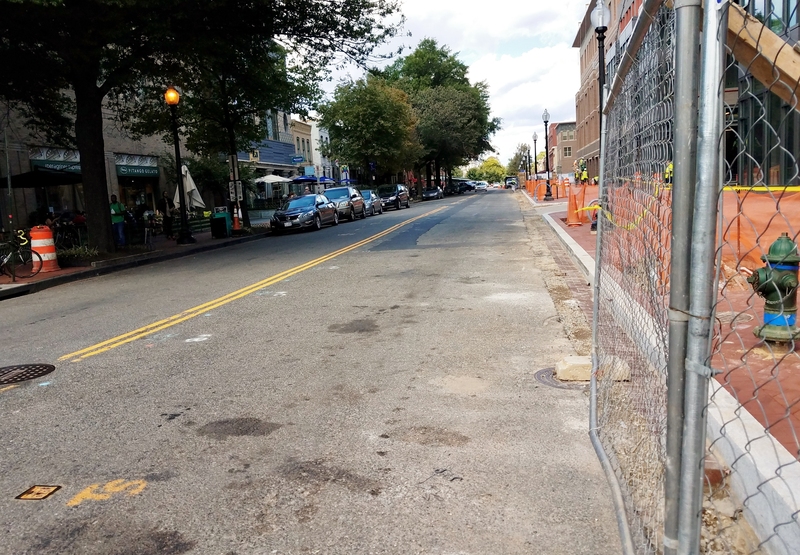 And an analysis of the 55 emails sent to EMCAC regarding the status of the 300 block of 7th Street, SE, received between August 9 and September 6, reveals considerable neighborhood support for continued closure of the block to vehicular traffic on weekends. Of the 55 emails received during the four week period, 49 supported keeping the street closed, while 6 urged reopening the block to traffic. 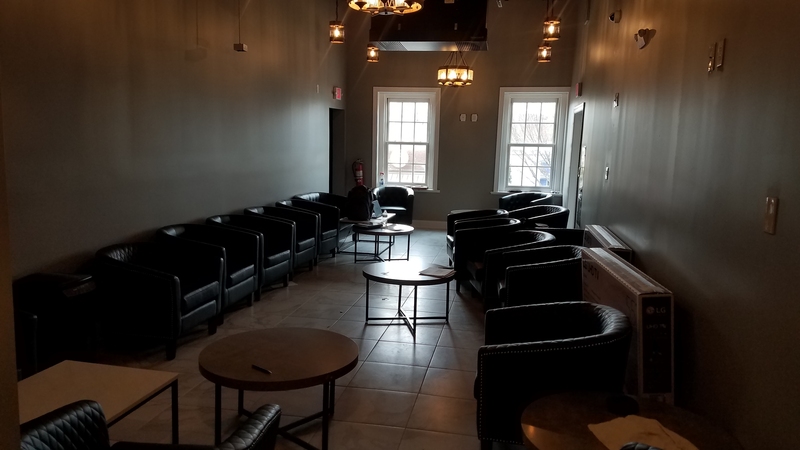 EMCAC’s support for the closure is contingent on the Eastern Market Manager establishing a validated parking location and possibly establishing a delivery service for South Hall merchants to alleviate issues arising out of lack of customer parking. 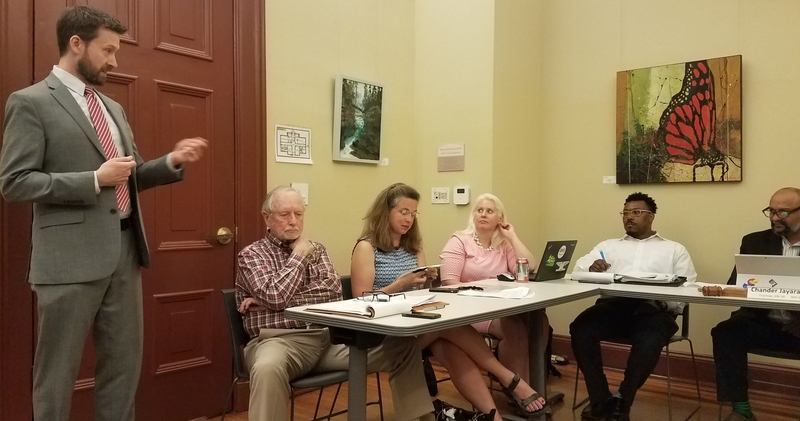 The most vocal opponents of continued closure of both the 200 and 300 blocks have been the South Hall food merchants, largely based on their perception that the lack of parking is responsible for the decline in the food business in the South Hall. One way the lack of parking could be addressed is by Eastern Market subsidizing validated parking for a number of spaces in the Colonial Parking lot right across C Street from the Market ($8 a day on Saturday and Sunday). There are also 193 paid public parking spaces in the Hine Project, 50 of which will be reserved for vendor’s vehicles at 50% of the daily rate (yet to be established). That would leave 143 spaces for paid public parking. Ongoing city-sponsored appraisals of retail spaces in and around Eastern Market to satisfy the statutory requirement that rents will be at or near market value would seem to guarantee an increase in market revenue, necessary not only for market maintenance, but also to assist in marketing and promotion to keep the Market competitive (read Whole Foods, Union Market, Trader Joe’s). The likely increase in rent for the South Hall merchants and outside vendors would be more palatable if part of the increase is used for a parking subsidy. The other major consideration in the event of continued closure is what will happen to the 300 block of 7th after the weekend flea markets move to the newly reopened (but private) C Street between the north and south buildings of the Hine project? The move is currently expected in mid-October. EMCAC Chair Donna Scheeder says, “If the street remains closed, it cannot possibly be under the same conditions as it now,” citing safety, economics, unified market management, and competition between vendors and the brick and mortar retail outlets on the 300 block. The EMCAC proposal addresses this concern by recommending that any usage of the 300 block not be determined until there is a stakeholders’ meeting from a broad array of community organizations, including the ANC6B, DDOT, DGS, Stanton-Eastbanc, Eastern Market Main Street, Market Row Merchants, and that there be no request for bids regarding usage of the 300 block until a strategy is developed for best use and value to the market and the community – possibly by an organization such as the Project for Public Space. Coupled with that, is a likely stipulation that any temporary usage of 7th Street between the moving of the flea market to C Street in mid to late October and the enactment of any recommendation arising out of a study, will require joint approval of EMCAC and the Eastern Market Manager. It appears that Eastern Market and DGS anticipates keeping the 300 block closed through the middle of next summer, and according to some sources, a permit for closure has been issued and payment to the city for lost parking revenue for the 200 and 300 blocks has already been made, or is in the works. ANC6B will consider a recommendation to close the street expected to be proposed by Commissioner Diane Hoskins at its regular monthly meeting Tuesday, September 12, at 7:00pm in Hill Center. The matter is scheduled to come up near the end of the meeting and is not likely to be voted on that night. There are plenty of parking options nearby. Why reopen it? This is a no brainer. I have yet to hear a strong argument to abolish the pedestrian, socializing scene that is the life blood of Eastern Market outside the North and South Halls. Adding cars to the mix will further diminish the number of spaces for the street vendors. There will be no where to wonder about and the sidewalks will be very crowded and unpleasant. Couldn’t existing market vendors partner with an existing food delivery service? Uber Eats, Postmates, etc. could all deliver food. If the onus is on the market to set up their own completely redundant system, that would require a great deal of cost. Regarding parking, if the Eastern Market vendors want to set up a validation system, that seems like a great idea; but there’s nothing stopping them from pursuing this right now. Note that validation won’t actually change how much parking is available (the same as there is right now – or will be once the Hine garage opens). Too often I see complaints about parking focused not on the actual availability of parking but on the desire for free, abundant parking. Which simply isn’t going to be available given the tradeoffs of an urban location. It’s also not what Eastern Market’s ‘killer app’ is; that would be the walkable, urban location and wonderful closure of the street every weekend. Eastern Market will never win a competition if the stakes are ‘who has the easiest groceries available with free parking and easy car access?’ That’s not the market’s comparative advantage. 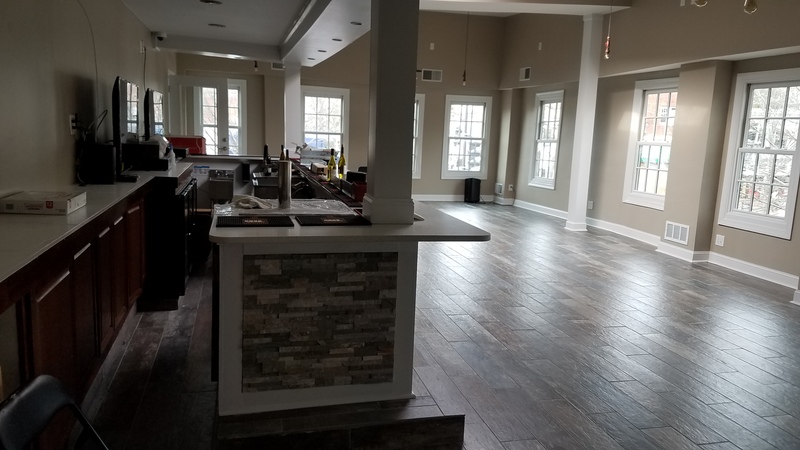 >>>EMCAC Chair Donna Scheeder says, “If the street remains closed, it cannot possibly be under the same conditions as it now,” citing safety, economics, unified market management, and competition between vendors and the brick and mortar retail outlets on the 300 block. I guess I don’t see what’s so wrong with the current conditions. Unless I’m misreading this, how is ‘competition’ between flea market vendors of concern? The kinds of goods they sell are almost entirely complementary (not competitive) with the retail stores along 7th Street. Can Scheeder be specific when citing safety issues? We already learned that there is a fire lane which fire trucks have used when necessary. What specific stores are complaining about competition? The flea market trade are mostly crafts people and artists. Coffee vendors and food vendors might be the competition but you have market managers who allow repetition of services and they need to tighten up on that if you want to avoid competition. I always heard that competition was a good thing. Who can get into Bullfrog Bagels on a Sat or Sunday with a line out the door? Offer OPTIONS to your public and don’t call it competition. Everyone loves options! I would suggest the inside Eastern Market vendors collectively hire a consultant who can analyze their current business operations and then offer suggestions for improving. Even I can come up with a list of improvements that will help the vendors step into the new era of shopping. Parking and street vendors are NOT the issue at all.